Happy (late) Thanksgiving to you all! I hope everyone had a wonderful holiday weekend. I know I sure did! I had a very busy week, so even my nail painting was at an all time low. I think I've only had two different manicures in the last week? This one was from the beginning of the week and unfortunately I didn't really get a chance to take a picture of my holiday nails before they got chipped, so these will have to do. I had started with one of my favorite polishes, which I knew would be great for fall and that is OPI "Just Spotted the Lizard." I *thought* I had a post with swatches of this, but apparently I don't? (Whaaa?) 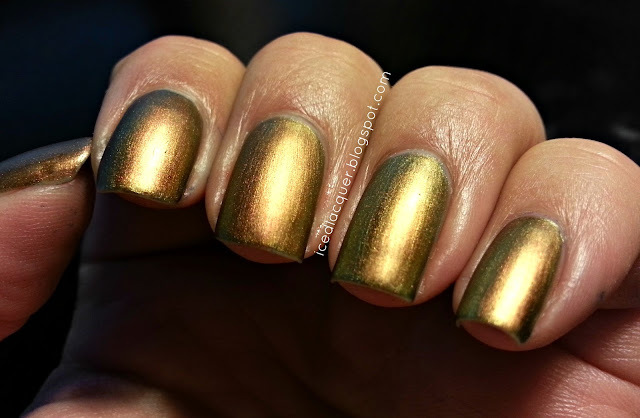 Anyway, that one is one of the many dupes of the popular green to gold duochrome shades that came out this past year. 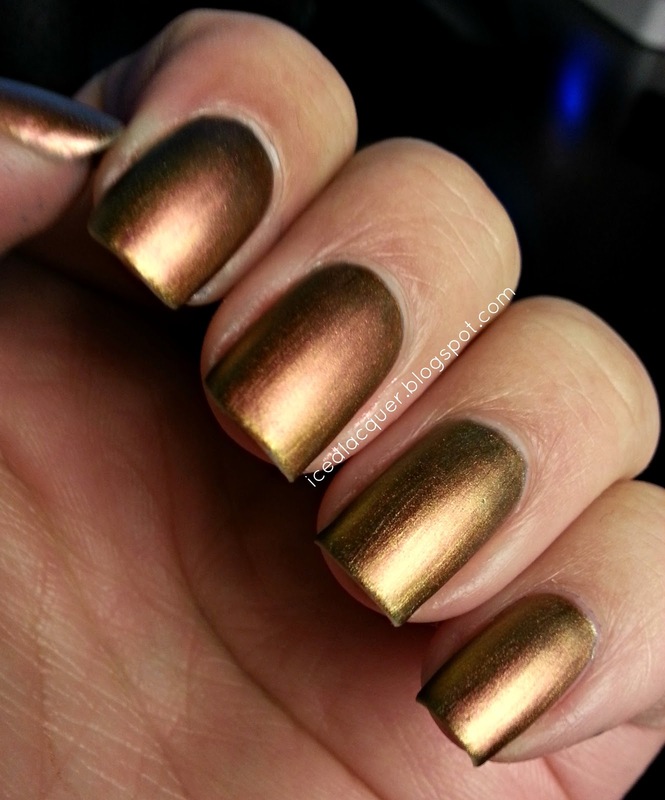 On top of that, I added one thin coat of Nina Ultra Pro "Molten Gold" and then top coat. The result was a beautiful range of colors from green to gold to copper. 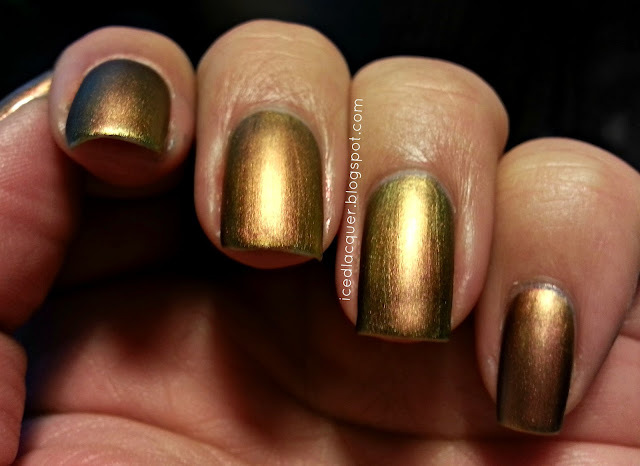 It was like all the ideal fall colors rolled into one amazing manicure. Definitely a beautiful combination! I want to try some more combinations of layered duochrome polishes now!